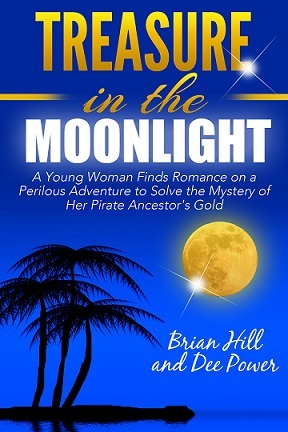 "Treasure in the Moonlight," is a modern treasure hunt, with adventure, danger at sea, mystery, lust, deception, betrayal, pirate treasure, three dogs, swashbuckling action, warm romance, and a talking parrot that gives stock market advice! Start your Engines Or Put on the Brakes? If you buy something from this site we may get paid a commission. We also on occasion receive free samples in exchange for a review. Those reviews are objective and not influenced by the fact we may have received free merchandise. Paid advertising is accepted.